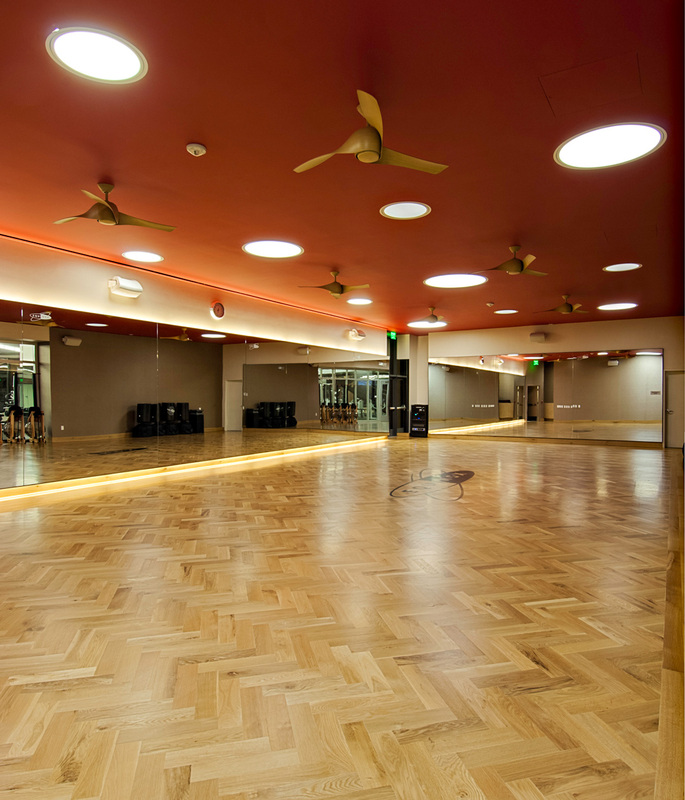 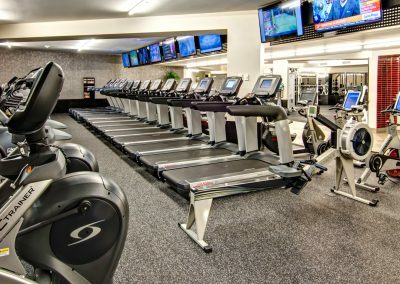 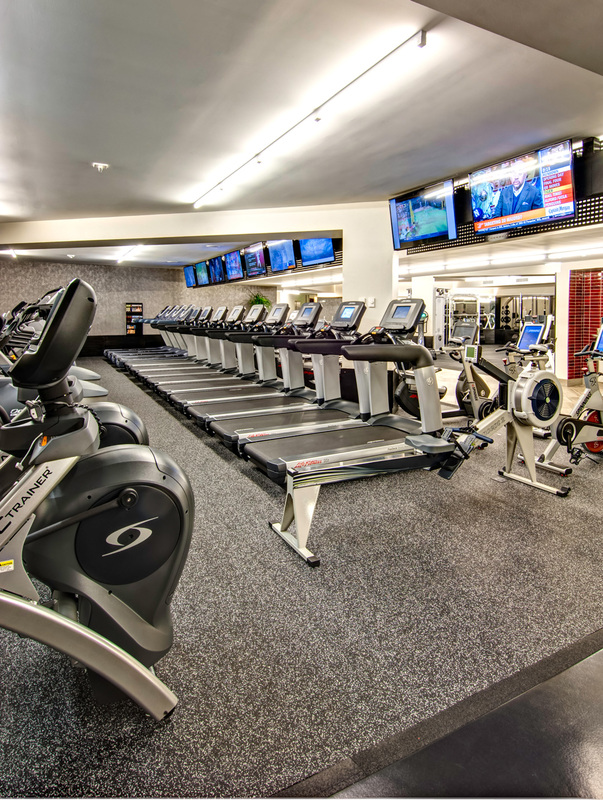 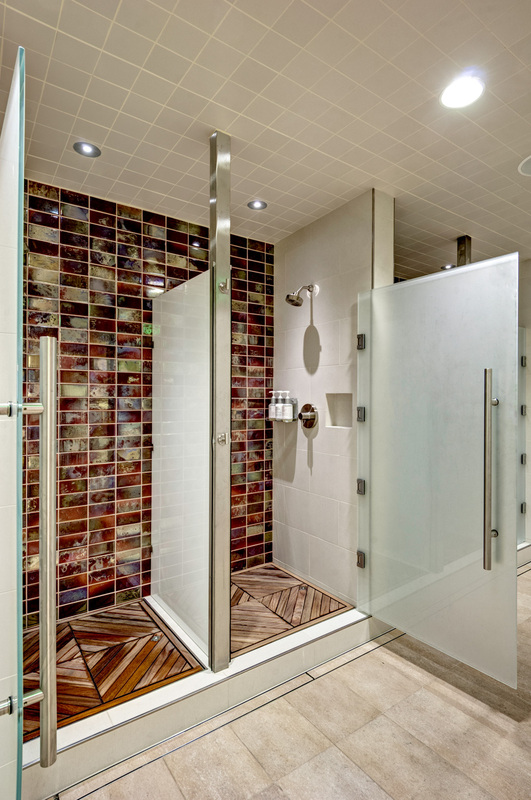 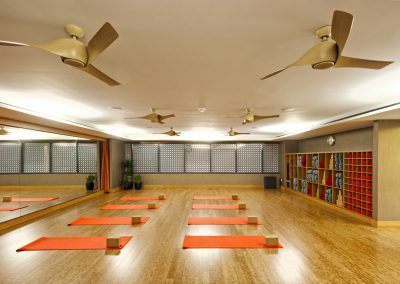 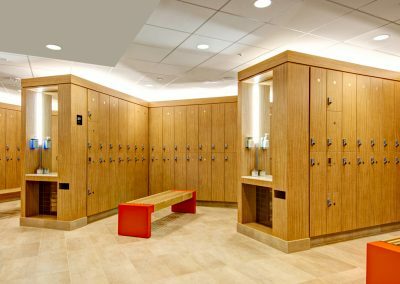 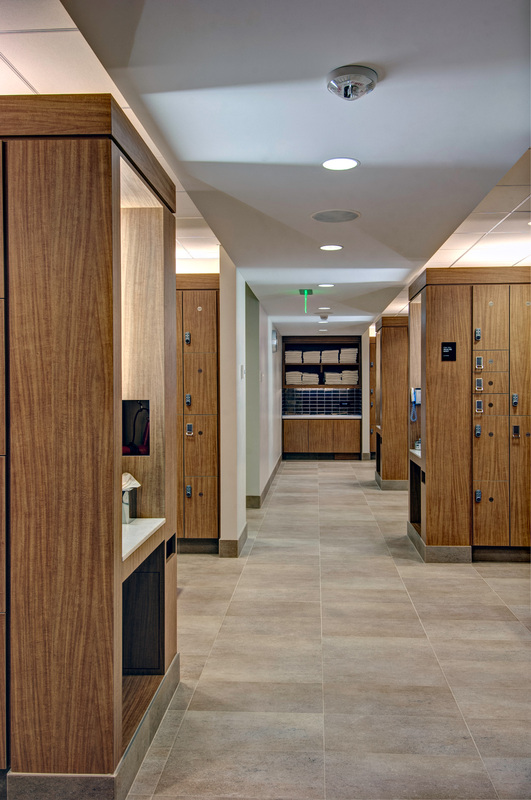 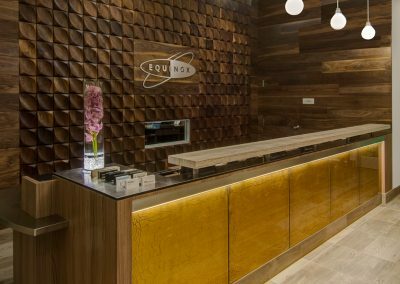 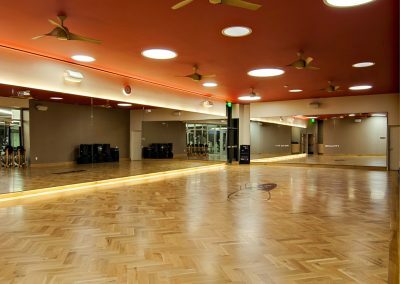 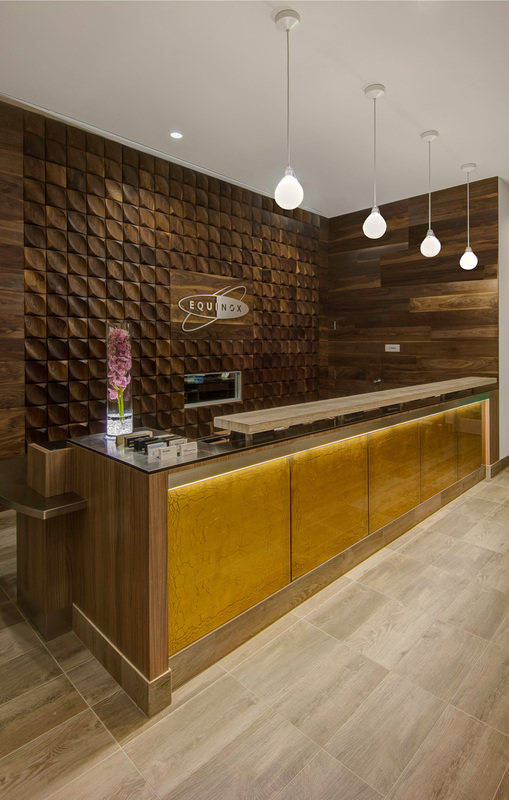 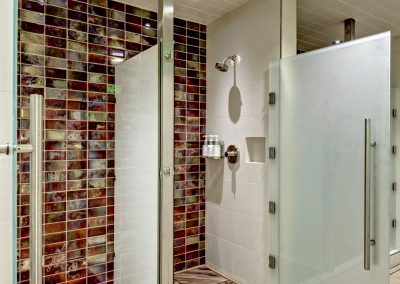 Gruen Associates was the Architect for the Equinox Fitness Club project located in Encino, California. 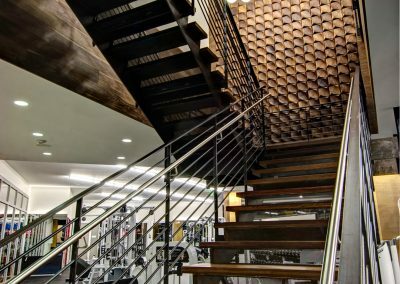 The 33,000-SF, state-of-the art exercise and wellness facility caters to an exclusive clientele and features an array of high-end finishes. 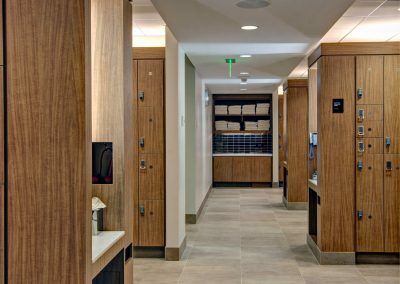 The project was constructed on the first two floors of an existing office building and required a nighttime construction schedule to minimize disruption for the office tenants during normal work hours. 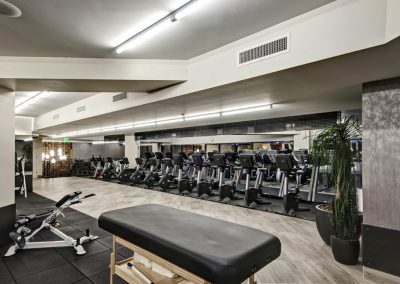 The exclusive health club includes separate studios for Pilates, aerobics, yoga and cycling, men’s and women’s locker rooms with showers, spa treatment center, juice bar, and a boutique shop. 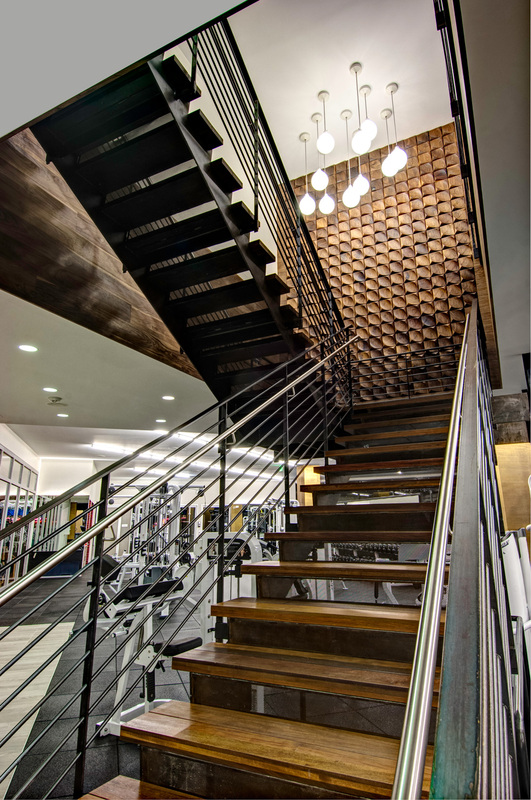 The main stairway was designed and detailed in stainless-steel and wood. 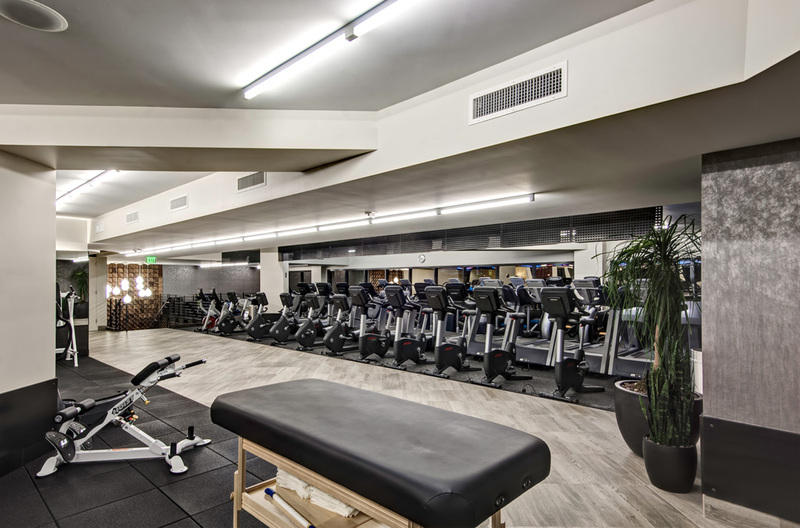 Also designed was the pre-sale office two blocks away from the fitness club. 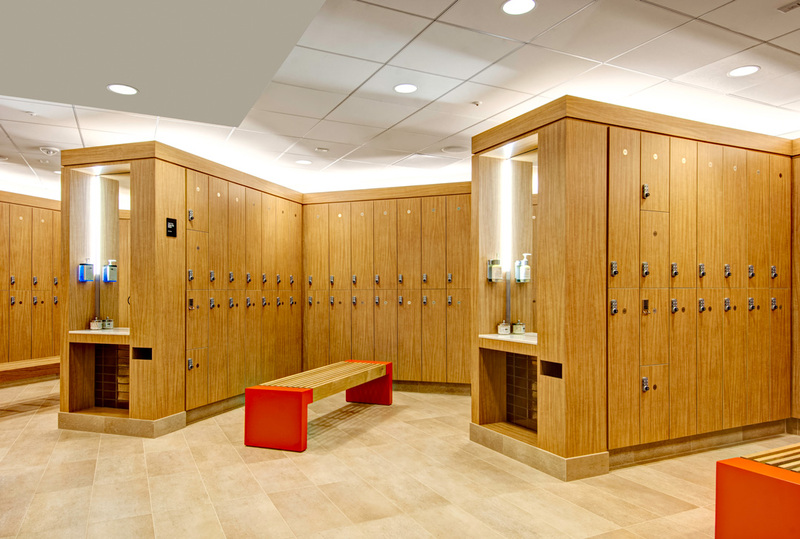 The pre-sale office was coordinated with the materials used in the main gym facility for a uniform aesthetic.